Seventh Generation Bathroom Tissue is made from 100% recycled paper, with a minimum of 80% post-consumer materials. Whitened with an environmentally safe process--never with chlorine bleach--this tissue is the healthy choice for your family and your environment. 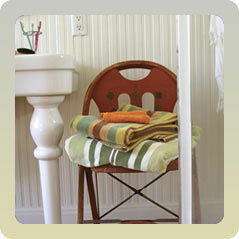 By choosing Seventh Bathroom Tissue, you'll be making an important environmental difference immediately. These paper towels are not whitened with chlorine and are made from 100% recycled paper (80% post-consumer, 20% pre-consumer). Hypo-allergenic, unbleached, fragrance-free, and made without dyes or inks, this tissue paper is safe for septic systems and ideal for low-flow toilets. If every household in the U.S. replaced just one roll of 500 sheet virgin fiber bathroom tissue with 100% recycled ones, we could save 448,000 trees, 1.1 million cubic feet of landfill space (equal to 1,700 full garbage trucks), and 161 million gallons of water, which is a year's supply for 1,270 families of four! 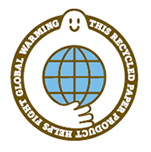 Seventh Generation Bathroom Tissue is made from 100% recycled paper, with a minimum of 80% post consumer materials. Our paper is whitened with an environmentally safe process never with chlorine bleach. Our Bathroom Tissue is hypo-allergenic, safe for septic systems, ideal for low-flow toilets and contains NO dyes, inks or fragrances. 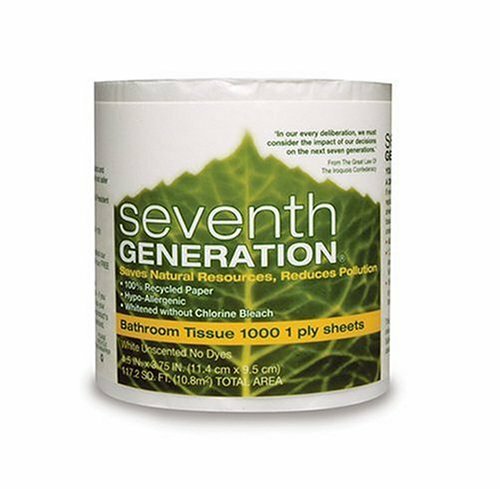 Seventh Generation makes a fine brand of bath tissue--even if it's not exactly Charmin soft. I prefer the texture of Scott bath tissue so for me this product was not a huge difference. I enjoyed knowing that I was helping to keep our planet "green" when choosing this bath tissue. This bath tissue is made of completely recycled paper--80% of which is post consumer material! Great! All this DOES reduce pollution, just as they advertise on the wrapping of the roll of toilet paper. The wrapping is great and the bath tissue is whitened without using bleach. I am very impressed. Predictably, this bath tissue is not just kinder to Mother Nature; it's easier on those of us who are sensitive to scents. It is hypoallergenic; and it is perfectly safe for toilet and septic systems just as Amazon notes above. Of course, there's always a limit to how much paper will go in one single flush down the toilet; but most people have an intuitive sense about this so it shouldn't be a problem. Of course, bath tissue never "goes stale," so if you catch a sale on this product stock up on it! The rolls can be stored in the package they come in; or you can store the rolls individually in various places throughout your home where they will be needed. Unfortunately, there are three concerns. First, Seventh Generation bath tissue is comparatively expensive to most other brands of bath tissue. People on a budget may simply not be able to afford this product. Second, some people will protest the feel of this paper since, as I wrote above, it's not exactly Charmin soft. Third, this paper is also too thin for some people's tastes; one ply toilet tissue can mean that you wind up using more to do the same job. I'll take off two stars for these issues even though I personally like this product. I know that in time Seventh Generation will figure out a way to make this bath tissue stronger, softer--and cheaper. I did a cost comparison on Amazon on all the toilet paper they sell. I took looked at one with free shipping & used the subscription rate (for the extra 15% off) on every one. This particular one with 1000 sheets cost the least per sheet of all recycled toilet paper at the time of this review. Actually, the only other tisse (including non-recycled) that cost less per sheet was the Scott 1000 sheets. 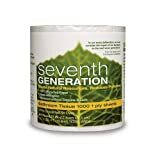 We use quite a few Seventh Generation products and I had previously purchased a case of the 2-ply bathroom tissue. When I reordered, I got the 1-ply by mistake. We're using it, but I will be glad to see it go so I can get the 2-ply again. I would gladly sacrifice a little comfort for what is hopefully a more environmentally friendly product. This version, however, just isn't usable. 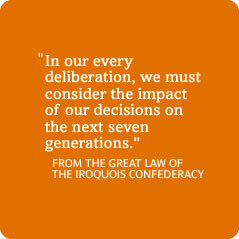 Easy to "do the right thing." 1 Ply - How much TP are you really saving? One ply doesn't really cut it!